In retaliation to tariffs imposed by US President Donald Trump on $50bn worth of Chinese imports into the US, China has announced a counter tariff on a number of US exports into China, including a 25% tariff on American whiskey. It follows an announcement by Trump, which stated that the US would be imposing tariffs on $50bn of Chinese products, focusing on industrial products, such as those for the aerospace, information and communications technology, robotics, industrial machinery, new materials and automobile industries. According to the US trade representative’s office (USTR), the first round of tariffs on 818 products, worth $34bn, will go into effect on 6 July, with the second batch of 284 products valued at $16bn under further review. In retaliation, China targeted American products, especially ones that could be imported from elsewhere to minimise the impact on the country’s economy. Like the US tariffs, China’s tariffs will go into effect on 6 July. China’s tariff on whiskey follows similar moves by the European Commission and Mexico. In March 2018, the US President has imposed a 25% import duty on steel and a 10% duty on aluminium from Europe, Mexico and Canada into the US, claiming these imports threaten US national security and put jobs at risk. Since then, the EU Commission has confirmed that in retaliation it will be imposing a 25% tariff on imports of bourbon and American whiskey from July. Mexico has also imposed tariffs on a range of products, including bourbon, ranging between 15% and 25%. 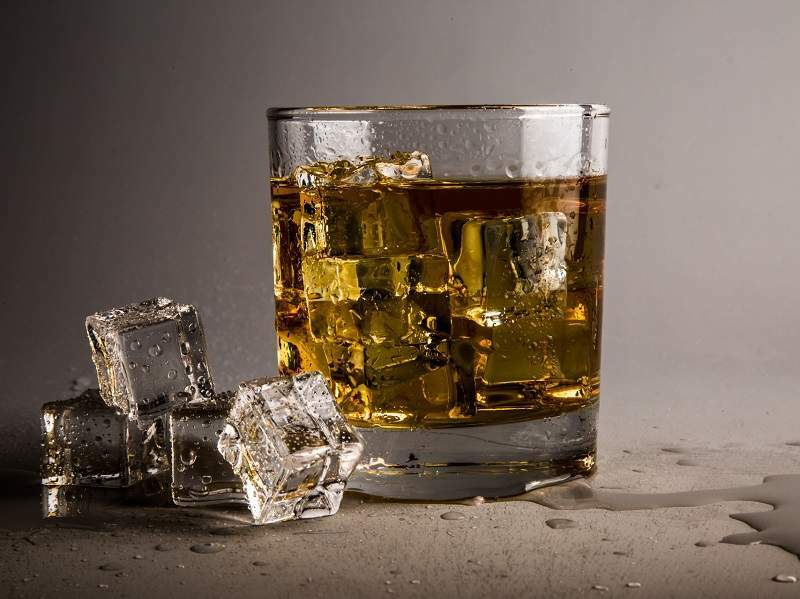 The US-based Distilled Spirits Council, a trade association representing the liquor industry, has said it was ‘extremely concerned’ about the impact that retaliatory tariffs will have on the US distilled spirits producers, as well as their agricultural and supply chain partners. Brown-Forman, the Louisville-based home to market leader Jack Daniel’s and higher-end Woodford Reserve, has already started shipping more whiskey to warehouses overseas ahead of the tariffs according to CEO Paul Varga. The company generates about half its revenue domestically, a quarter in Europe and a quarter elsewhere. Beam Suntory, home to bourbons including Jim Beam, Maker’s Mark and Knob Creek, is also ‘making contingency plans to manage through all potential scenarios’ according to spokeswoman Emily York. Both Brown-Forman and Beam Suntory make 62% of all American whiskey, according to researchers at IWSR. Other big players include Heaven Hill, Diageo and Campari. Last year, China imported $12.8m worth of US spirits. Nearly $9m of that total was whiskey, according to figures provided by the Distilled Spirits Council. Meanwhile, the EU imported $789m worth of US spirits in 2017. Bourbon, Tennessee whiskey and rye whiskey accounted for 85% of the American spirits exported to the EU, according to figures from the American Craft Spirits Association.